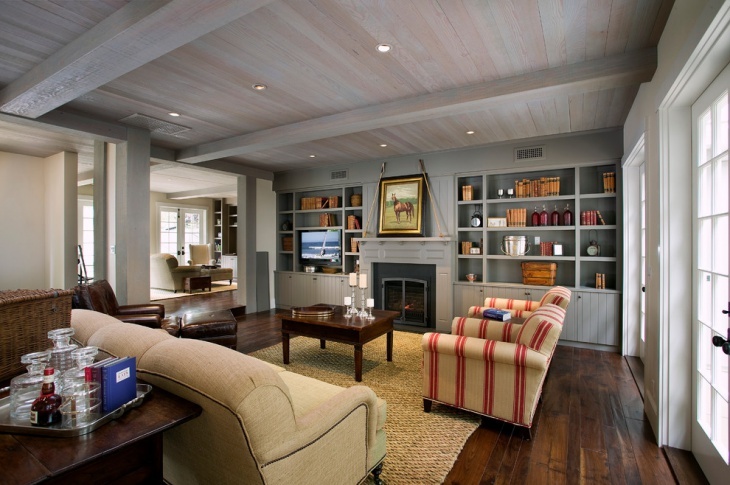 The importance of bookshelves in living rooms cannot be understated. A good bookshelf can save a lot of clutter in your living space. It provides space for neatly organizing your books and other stationary and can help in keeping it spick and span. A right bookshelf is the basic piece of furniture in any room. 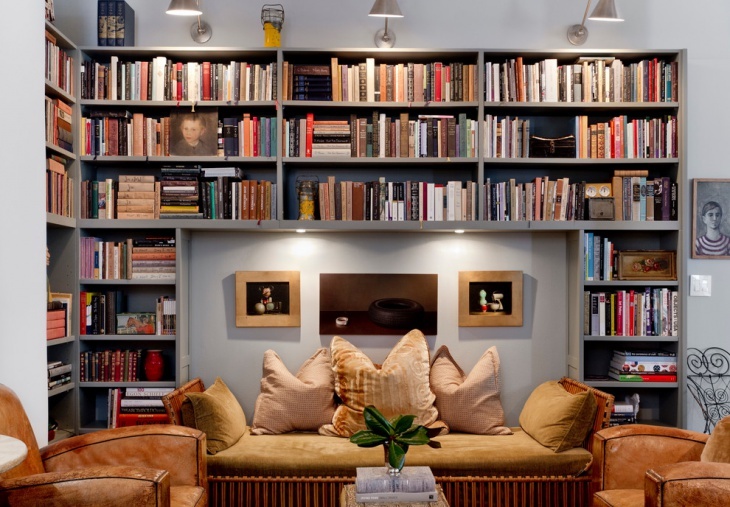 Let’s have a look at some of the best-designed bookshelves by interior designers. 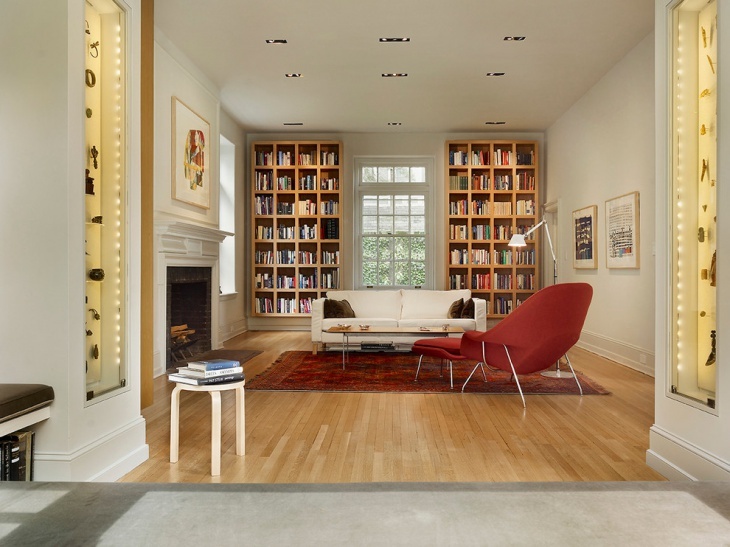 This luxurious modern living room features a black bookshelf is placed in the center of this large room, which also divides the room into two portions. A few vintage showpieces are placed just above the bookshelf which makes it a furniture décor piece. This inbuilt bookshelf in the wall is huge enough to store the books you have bought in your lifetime. Since the color of the bookshelf is in the hue of gray, the white leather sofas make for a great contemporary living space. This modern living room consists of built-in shelves in brown and has a wooden texture which matches the brown furnishings of the room. 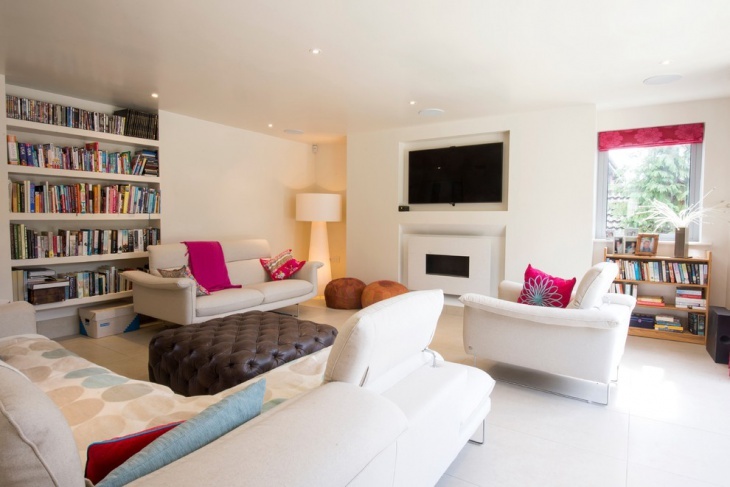 A sleek and low coffee table in off white is placed between the two sofas and has a very elegant look. This vintage style living room features a built-in wall bookshelf stored with all the ancient artifacts, treasures and books. This living room has a traditional touch in it, right from the large printed rug to the dual wooden coffee table. 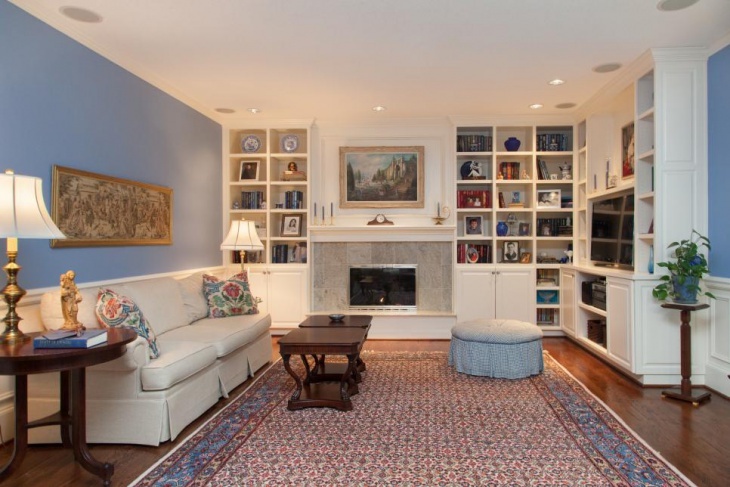 This traditional living room features built-in bookshelves in blue and has a fireplace affixed below the shelf. The room has a very odd and unusual design of mirror and chandelier which is the center of attraction of this small living room. This super comfy and cozy living room features built-in wooden shelves, striped armchairs and traditional artifacts placed on the wooden shelves of the room. The curtains in pastel blue bring out a soft vibe in this living space. 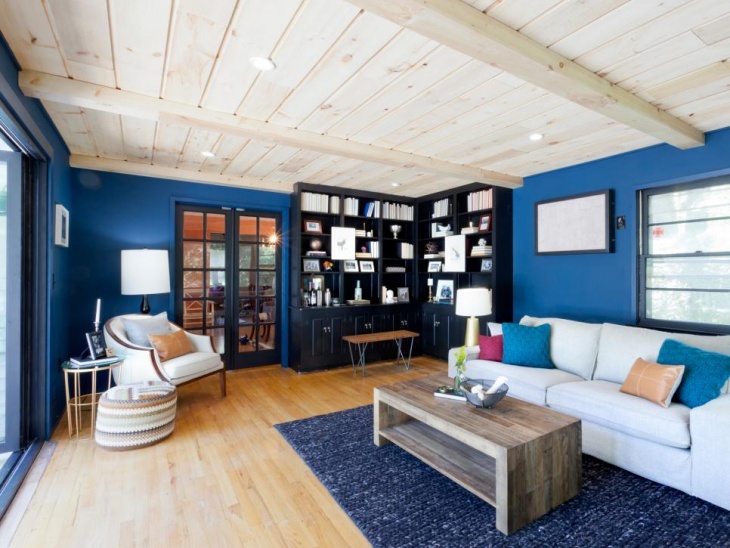 This unique living room has corner bookcases in black color, the bookcases are fitted next to the electric blue walls which enhance the overall appearance of this living room. The white lamps and leather couch are a plus that accentuates the blue and black hues of this space. This white country living room is chic, stylish and cozy. 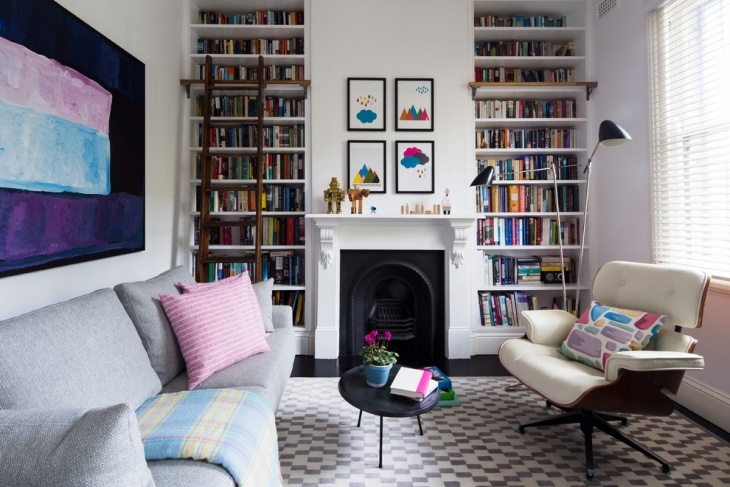 The bookshelves of this living room are fitted on all sides of walls, with comfortable couches in off-white and printed beige, and the vaulted white ceiling brings a lot of vibrant vibes to this living space. 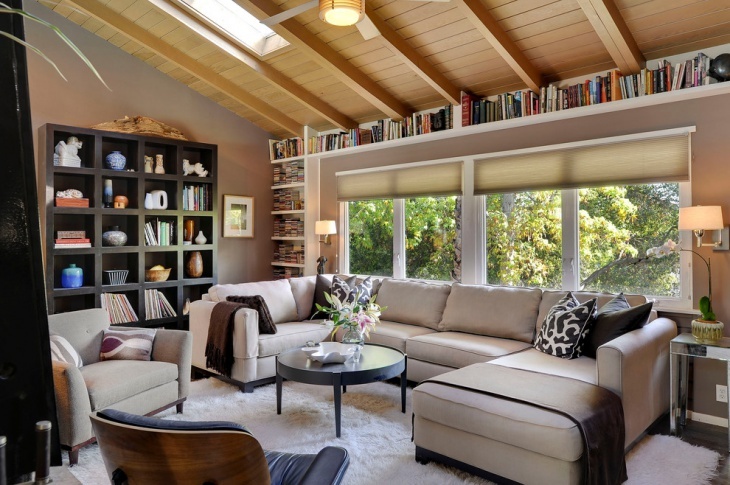 This beautiful living room with built-in book cases with funky wall frames and a small lamp for reading books at night. It has a small round coffee table and sofas in beige along with a chocolate brown single armchair with colorful cushions. 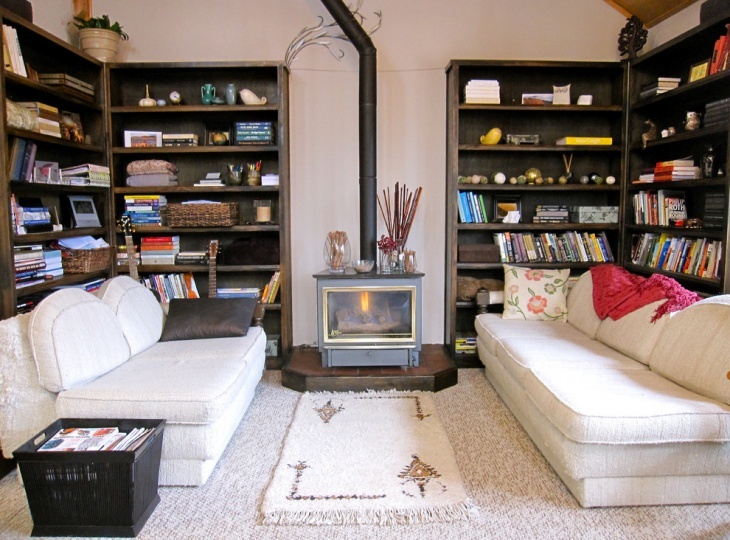 This living room with built in library shelves is a mini library at home. 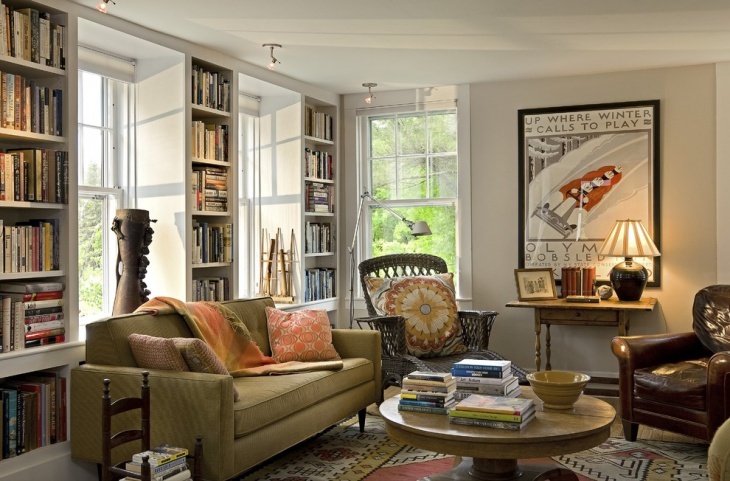 It has a set of white sofas with yellow cushions and a mix of orange and white rug which flatters the look of this library in the home. 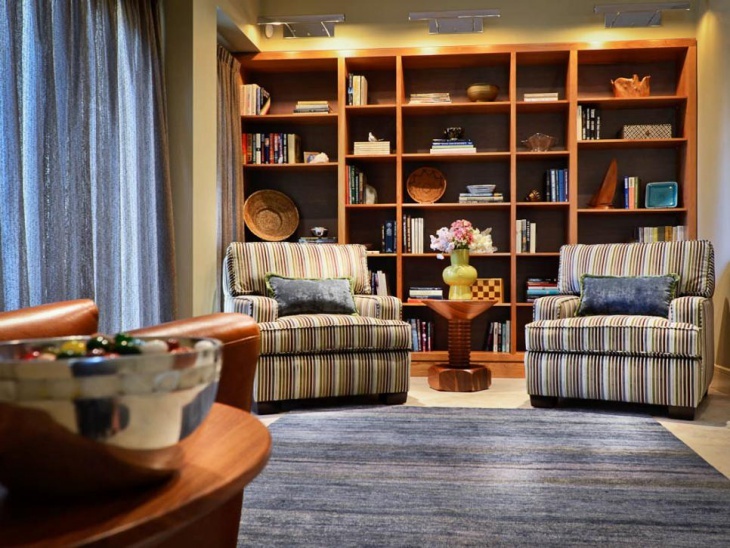 Living room bookshelves today are designed in a number of ways, modern day interior designers like to mix and match and play with colors and patterns. 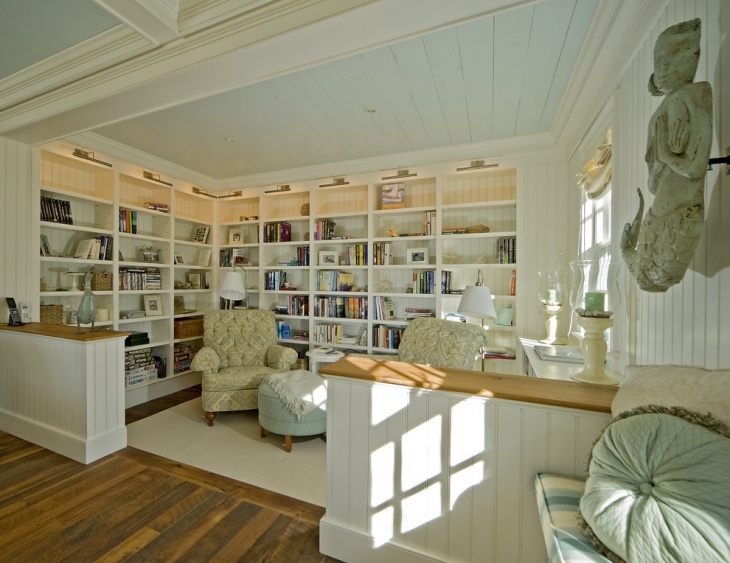 The bookshelves are a basic necessity in any house. 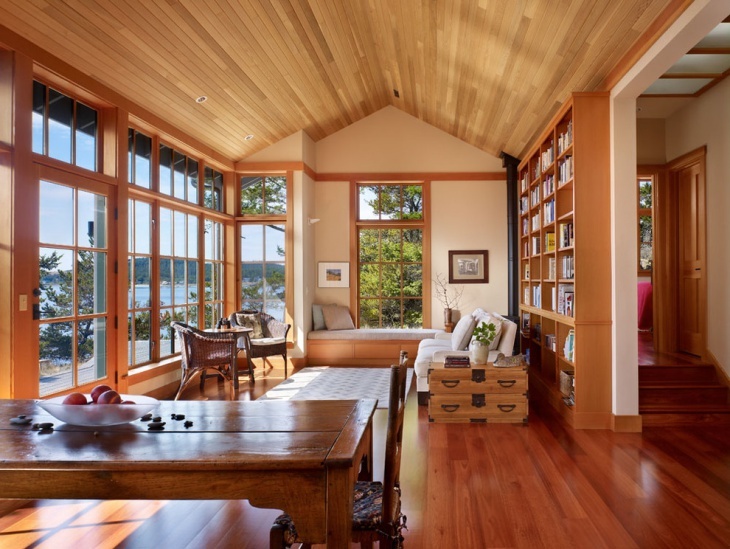 The most popular and convenient are the wall built-ins, and most people today resort to a home library by setting up a large built-in library inside the house.